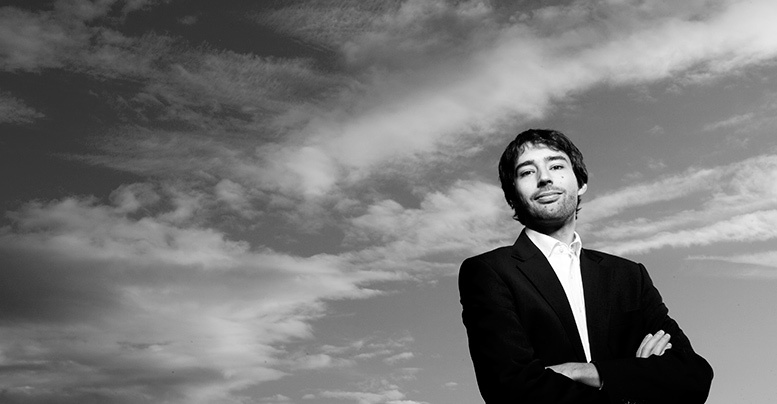 Nikolaus Resa is an internationally successful German concert pianist and chamber musician. In various formations and especially as member of the Berlin Piano Trio, he always impresses with spontaneity, energetic playing and an exceptionally beautiful sound. He is frequently invited to substitute in several prestigious orchestras like the Berliner Philharmoniker or the Deutsches Sinfonie-Orchester (DSO) Berlin. Additionally, he is teaching at the Berlin University of the Arts and the Orchestra Academy of the Berliner Philharmoniker. Born in 1980 in Berlin, Nikolaus Resa had his first piano lessons at the age of four and started playing the violin shortly thereafter. He studied piano with Georg Sava at the Academy of Music „Hanns Eisler”, Berlin, and took on his postgraduate studies at the Hanover University of Music, Drama and Media with Markus Becker. Nikolaus is winner of many competitions, e.g. the International Johannes Brahms Competition in Pörtschach (Austria), the International Joseph Haydn Chamber Music Competition in Vienna (Austria) and the International Rimsky-Korsakov Competition in St. Petersburg (Russia). He was “Featured Soloist” in Howard Shore’s soundtrack for “A Dangerous Method” (2011).